Our Supply Chain Manager feature allows you to communicate with Amazon when you have inventory that is not yet in stock but expected to be in stock on a specific date. This allows you to take orders in the meantime and set appropriate availability expectations with your customers. To access our Supply Chain Manager feature, click the 3-vertical-dot icon on the top right and then select Supply Chain Manager. The Estimated Receipt Date can be blank or you can fill in your actual estimated receipt date. Please read the section on Leaving past due inbound shipments open to fully understand the impact of leaving this field blank. On the first page you need to enter in the Vendor, Receiving Warehouse, and Shipment ID. On the second page you can add SKUs to your shipment either by uploading a csv or by clicking the + icon and searching your catalog. 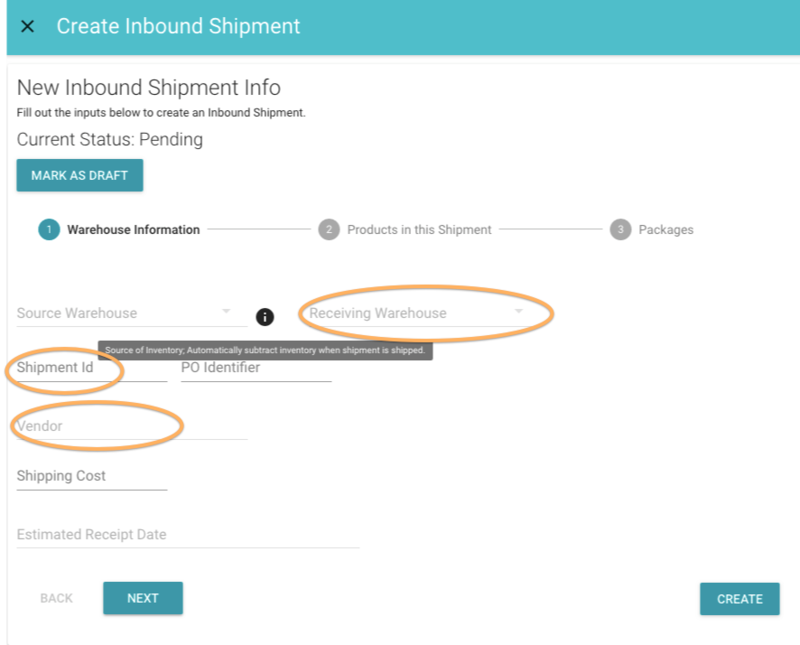 Clicking on an inbound shipment allows you to edit any field within the shipment. This includes Estimated Receipt Date, SKUs, and Quantity. Amazon accepts either available quantity or inbound quantity through their inventory feeds. Sending a quantity with a restock date to Amazon makes this product available for purchase before you have it in stock. Amazon will display this to the shopper with a later expected delivery date than if you actually had it in stock. If you have an open inbound shipment (it has not been marked as Received or Cancelled) then Zentail can send the quantity within the shipment and the expected receipt date to Amazon as the inbound quantity and restock date. What happens when you don’t close out an inbound shipment? What happens when there is no “Estimated Receipt Date”? Why would you manage inbound shipments this way? Can inbound shipments be added via .csv import? Not yet, but we’d like to add this functionality. We’ll add this in our next iteration. Can Zentail read inbound shipments from other integrations, like FBA or SkuVault? Yes! 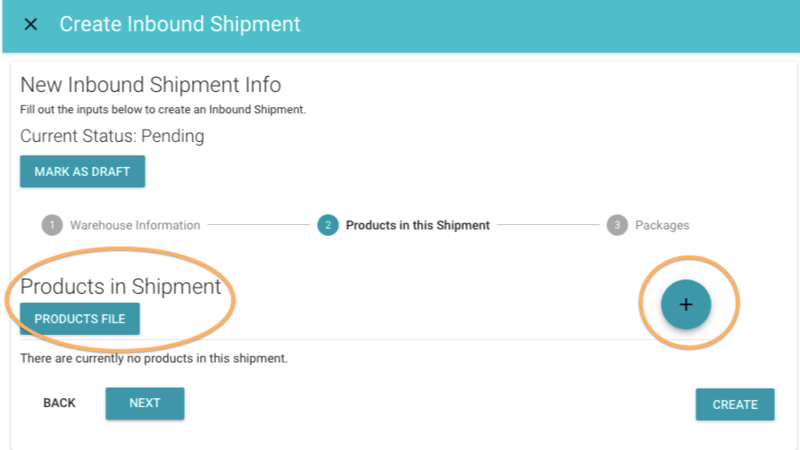 You can also Create FBA Inbound Shipments from within Zentail. How does cost get calculated after an inbound shipment is received? - If Unit Cost on the inbound shipment is blank, current cost on SKU is not affected at all. 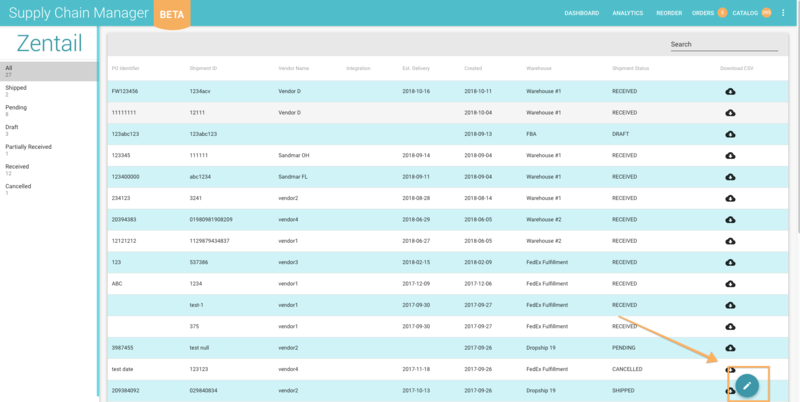 Purchase Order Management functionality will be built out further and we welcome any feedback you have.